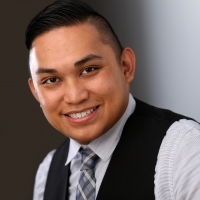 Hi, my name is Tim Edquilag, MA, LPC, NCC, proprietor of INTUITIVE INSIGHT. I am a Licensed Professional Counselor (LPC) in the state of New Jersey and in Arizona. Online Counseling is a rapidly expanding medium to provide therapy and counseling services today. It is convenient, at your pace, and in your chosen environment. Which is exactly why I have partnered with BetterHelp to bring Counseling Services forward. Through BetterHelp, my goal is to provide Online Counseling Services based on the needs of the individual. I strive to bring mental health wellness and awareness to everyone that I encounter. Over the the course of my career in Mental Health and Counseling, I have worked with many different populations and issues including: Anxiety, Depression, Bipolar Disorder, Anger Management, Codependency, Personality Disorders, and other Mood Disorders. I have also worked with individuals regarding relationship, family, career, various adult/life transition issues, and LGTBQ issues. Most notably, I also have experience and training in working with Brain Injury Survivors in helping survivors find their "New Normal" after Brain Injury. When we work together, you will find that my Counseling Style shall be tailored to your needs. I offer an attentive, integrative, and interactive counseling style. My Counseling Style is highly influenced with Psychodynamic, Humanistic, Cognitive-Behavioral, Choice Theory, and Motivational Interviewing. Overall, I attempt to tailor the style based on your needs and create a healthy and effective dialogue to effectively pinpoint the primary issue and create a treatment plan that would best manage and treat it effectively. I understand that seeking help for an issue is not the easiest thing to do. Nevertheless, it is courageous and beneficial for long-term health, personal growth, self-actualization, and self-understanding. Let us work together towards this goal. Let's mix your Courage and the Desire to seek healthy change with Intuition and Insight to help empower and support you. You, me, and our Intuition and Insight. Strong On Our Own, More Powerful together. Tim always listens and actually takes the time to process what you're saying. He really makes you feel like what you're saying matters and even if you feel like you're just being overly emotional he assures you and proves to you that what you say is helping him help you. He is also very good at letting you know his availability and checking in on you when you haven't checked in for a while. I really appreciate that. I am so grateful that I got matched with Tim. He is kind, honest and practical. He gave me so many "real life" ways to work on what I needed help with and I felt comfortable from Day 1, knowing that he wanted to help me in any way he could and meet me where I was at. I couldn't have asked for a "Better" Better Help counselor than Tim. 10/10 would recommend him!! All I can say about Tim is that he knows what he is talking about and truly cares about what you have to say, He is highly intelligent and has a great understanding of my issues. He is very trustworthy and kind. He has really helped me overcome my issues. Tim takes the time to read and understand the dynamics of my family situation. He has provided great advice & guidance. He is very quick with his responses & they are always detailed and on point. I would definitely recommend him to anyone who has relationship/family/divorce issues. Thank you, Tim. Tim is an exceptional therapist. He truly gives you an outlet to express your concerns, while providing profound insights into your life and troubles. Highly recommend, wonderful man. Tim has been the best therapist I have ever experienced. He is very knowledgeable and is helping me a great deal. A part of me feels like he knows me & my life personally the way he offers his expertise. He always replies within a timely manner and always engages and gives feedback with every session. He will also tell you like it is which I respect the most. I’m not one to like things sugar coated. He has helped me see things from a different perspective and I can’t thank him enough. He’s an excellent professional counselor. Tim is an excellent therapist who is very personable and is committed to help you in any way he can. This was my first experience talking to someone about my personal issues and I have to say after 3 months of talking to Tim I really do feel like I can handle any situation in my life in a more calmer and effective way. Tim really listens to what you have to say and is very timely with his responses. I have spoken to him over the phone as well, he's very professional and is funny when he needs to be, I felt like I was talking to someone who was a close friend. He's someone you can trust, that takes what you say seriously, and is respectful towards your thoughts and feelings. If I need someone in the future I'll definitely come back to Tim. Tim is a phenomenal counselor. He takes the time to make sure he understands everything his client is expressing. He is also good at seeing things that the client may not even realize is happening. He is quick with his responses and is always checking in to let you know that he is there. This is the best therapy experience I have ever had. I feel we addressed things that other therapists would not. If you are looking to make change in your life and want someone who understands, Tim is the therapist to choose. Tim was always attentive and understanding. He really asked the questions that made me realize the answer and never outright told me what to do. He works really hard to make sure you get the help you need. The best compliment I can give Tim is that he is a kind, understanding, and supportive person. He relates to your experience and gives you good direction and information, or even just asks more questions instead of always leading. He is very helpful and I feel better whenever I speak with him. He is very insightful and let me face of real problems I had under the superficial excuses I find for myself. Tim is an incredibly thoughtful and insightful counselor. It’s easy to tell that he takes the time to listen to you, and to understand you. His responses are full of great advice, actionable prompts and introspective questions, and genuine care. Tim is a fantastic therapist. Insightful, present, compassionate. It takes particular skill to channel these things over a multi media platform like online therapy, and his ability to do so goes above and beyond. Tim is a great counselor who really listened to me and helped me understand the root causes of my problems. He provided many tools to help me navigate through those problems and be better equipped in the future. Tim was insightful, intelligent and truly wanted to help me find answers. I believe he really understands his patients' needs, and I would highly recommend him! Tim is an excellent counselor. The questions he asks are well thought out, deep and important. Additionally, the process I often find myself going through to answer them has provided me a whole new level of meaning. I would recommend Tim to anyone who is seeking a thoughtful, unbiased, and non-emotionally invested third party to discuss complicated life issues. I had no idea what to expect from a service like BetterHelp, but speaking with Tim Fredrik Edquilag was exactly what I needed when I started here. For a cyber-therapy session, Tim made you really feel like he totally connected with you and that there wasn't any distance between the two of you. I'd highly recommend him to anyone. Tim is always there for me and has really understood what I have been going through. I’ve only used this service a short time now and Tim has been there for me. I’ve had trouble putting down the words and he always send update messages. Those help the most. Could not ask for anyone better. Tim has great insight and really gets down to the "why" of things. I highly recommend Tim. Tim is a good listener and you can openly talk to him without feeling judge. He provides good insights into my problems and allows me to improve myself daily. It is not easy to seek help but Tim makes it an easy conversation. He has been extremely helpful and he responds timely when I send him messages. I went through a few therapists before meeting Tim, and unfortunately it was hard to find one that I could identify myself with, that could help me with my needs and develop the trust that a client has with its therapist. Although, as in all professions exist angels, God sent to me the best "angel therapist" that someone could have, Tim. I totally recommend him, as I hope who's reading this review have the same experience that I had. And of course, on top of everything, never forget to search for God that together with a good therapist and your willpower will all go through whatever you need. together, definitely, we are stronger! Thank you God, thank you Tim, Thank you BetterHelp! Tim is a great listener and takes the time to understand what i'm saying and offer a well thought out response. I was very skeptical of online therapy before i joined BetterHelp, but Tim Fredrik Edquilag is an exceptional therapist. He asks the hard questions. He makes you really think and look at your self and your feelings. He really puts the time and effort into his correspondence with me, and it makes a huge difference. Tim is wonderful, kind and attentive. He has many tools and insights that helped me work through my anxiety and other complex emotions and situations. Tim is a wonderful listener and really understands what I'm feeling. His responses are always insightful and he is encouraging. Tim helps me to sort through what I'm experiencing and make sense of it. I truly appreciate everything that Tim has done to help me and my family. He is highly compassionate and delivers thoughtful expertise. I am very happy with Tim. He has pinpointed things that many other counselors have completely missed or ignored. He is very kind and I feel comfortable with him. I think Tim is a great counselor for a male aged from 16-30. We found some common interests and I've felt comfortable and haven't felt pushed to say anything. I loved working with Tim. He asks really thought provoking questions while helping you to see new perspectives on issues your present. Definitely recommend. Tim is a respectful considerate and compassionate person, a real genuine friend. I feel it very easy to talk to him as if he were right here sitting next to me. Tim has been excellent, asking all the right questions. It helps to lift the fog just communicating with him. Tim is an excellent listener. He really understands my concerns and provides multiple avenues of addressing them and is always ready to guide me along. I think Tim is great! He is really understanding and gives advice and insight that makes me see things clearly. I appreciate talking with Tim to help me figure out the issues I need help with. Tim is brilliant, he's the only counselor that has ever understood and actually gave me insight and true awareness into my feelings, it's like he's known me all my life. Tim is a very compassionate human being with very heartfelt empathy and I will always recommend him to anyone that I may know of who may someday need help! Excellent job. I feel like he's a true friend, somewhat I'll never forget! Vey satisfied and happy with our communications. They are clear, insightful and I truly feel like they are helping me move forward and think through my shortcomings in a new, interesting way. I feel there is a big possibility I will make true progress. He made me feel open enough to speak about things I hate talking about. Tim's been excellent, patient, understanding and concise in his responses. They've really been helping me address some of my shortfalls. I have nothing but positive feedback about Tim. This is the first time I feel respected and valued as a client. Tim doesn't brush off my issues, but patiently guides me. He asks insanely intuitive questions that are incredibly deep and well considered. Tim doesn't hold my hand as we work through things, but pushes me to discover my own way. For me, this is important. It gives me a sense of control over my own life that I need. Tim not only communicates effectively and understands what I need, but he also sends reminders if he has not heard from me. Overall, I have had a phenomenal experience with Tim and Betterhelp. Tim helped me more than I can thank him for. I was able to speak to someone professionally and able to gain a new understanding on the things I was going through. He helped me break down everything that was happening and make me think about it on a deeper level and really think about the things I was experiencing. Thank you so much for helping me through a really tough period in my life. Even though I got to consult him for a very short amount of time, I have to say, his questions push you to think about your problem in very different perspectives than how you viewed them before. He is a counselor that I would recommend to other patients. Excellent counselor who is compassionate and knowledgeable. Would you like to write a review for Tim Fredrik Edquilag? We'd appreciate if you can spend a couple of minutes to write a short review for Tim Fredrik Edquilag (MA, LPC, ACS). This review would be shared with Tim Fredrik Edquilag. It may also be posted in our website or in Tim Fredrik Edquilag's profile but it would be anonymous and your identity would be kept completely confidential.